Hope is something I will always have. Hope for a better day tomorrow. Hope for applying what I have learned today to tomorrow’s challenges. Being a mother of a child with childhood apraxia of speech (CAS) has ensured that I will always have hope. My son Ewan is a beacon of hope. I won’t lie. It’s not easy to see his peers moving through developmental stages at a totally different pace than him. What is encouraging is that he makes progress each and every day. His progress has taught me to not rule anything out. It’s not been a matter of IF Ewan will learn something/how to do something, but WHEN. He has his own schedule that keeps advancing, just at a slower pace. This entry was posted in Families, Inclusion, Where Are They Now on September 6, 2018 by cissnewsletter. My daughter Zoe who we fondly call Chip was referred to Children’s Integration Support Services (CISS) when she was around 3 years old. 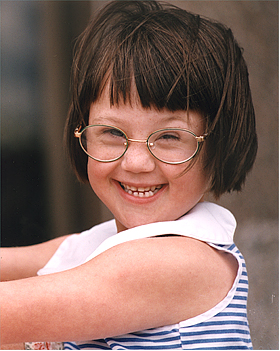 She has a diagnosis of Pervasive Developmental Disorder Not Otherwise Specified (PDD-NOS). She is now a thriving 19 year old young woman who is attending college and lives a busy active life. This entry was posted in Children with Special Needs, Early Learning and Care, Educators / Providers, Families, Inclusion, Where Are They Now on April 1, 2015 by cissnewsletter. Hard to believe Denis recently turned 19 years old. He’s a very happy young man regardless of his challenges such as being non-verbal, and yet he has no problem communicating his wants and needs. This entry was posted in Children with Special Needs, Families, Inclusion, Where Are They Now on January 6, 2015 by cissnewsletter. When Benjamin was born he looked just like his older sister, Emily, as far as we and our doctor were concerned. 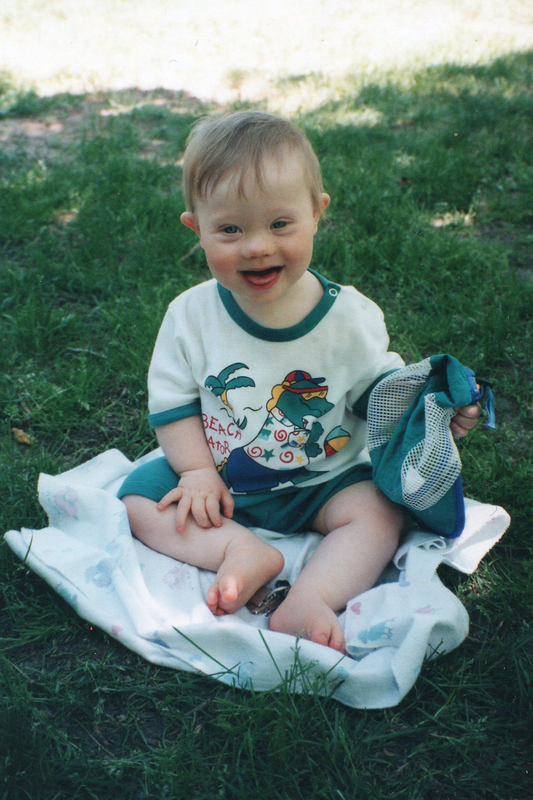 The nurses in the nursery, however thought he looked like he had Down Syndrome and so genetic testing was done. When we received the call that the testing was positive for Trisomy 21 we were in shock and asked for him to be retested. As soon as the results from the second test confirmed the diagnosis, I called the Down Syndrome Society of Ottawa Carleton and the Infant Development Centre. This was where Heather Jones, an Infant Development Worker, came into our lives and was a godsend. This entry was posted in Children with Special Needs, Families, Where Are They Now on September 3, 2014 by cissnewsletter. How Will You Feed the Joy? This entry was posted in Children with Special Needs, Educators / Providers, Inclusion, Where Are They Now on August 26, 2013 by cissnewsletter.